3 homes on 6.45 acres with majestic views of the Webhannet River, the tidal estuary and the gleaming ocean beyond. Right of way to build a dock to the Webhannet River. 2 large garages with 8 bays & an office that is currently leased. Build your dream home or explore the potential for an array of uses such as single family homes, condo complex, retreat, hotel, convention center, banquet/function room. General business district with 196 feet of frontage on Route 1 and just minutes to the beach. This magical peninsula is a sanctuary right in the middle of everything Wells has to offer. 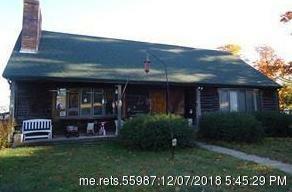 12, 24,53 Vera Lane (MLS #1377732) is a cape, ranch single family home located in Wells, ME. This single family home is 3,978 sqft and on a lot of 280,962 sqft (or 6.45 acres) with 4 bedrooms, 3 baths and is 44 years old. This property was listed on 12/07/2018 and has been priced for sale at $1,745,000. Listing Last updated 01/23/2019 4:43 PM CST . Some properties which appear for sale on this web site may subsequently have sold or may no longer be available. Walk Score provided by Walk Score. Mapping data provided by Google and Bing.